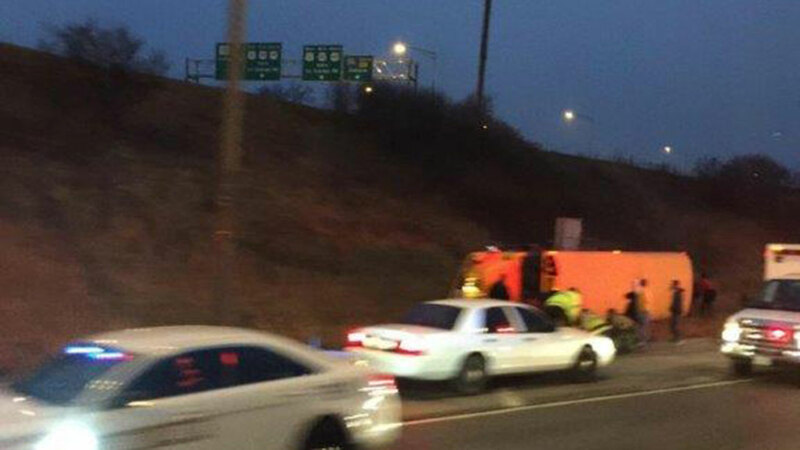 A school bus carrying 12 female students from Resurrection High School rolled over Tuesday evening on Interstate 294 near southwest suburban Justice after the driver suffered a seizure, according to the Illinois State Police. The crash occurred around 5:15 p.m. in the southbound lanes near Archer Avenue. The bus was the only vehicle involved. Two lanes were closed briefly, but were open by 6:45 p.m. The driver was transported to Advocate Christ Medical Center and two of the female passengers were transported to Palos Community Hospital for evaluation. A coach was also on board the bus.